Comments: ***PLEASE NOTE*** This book's binding has been Rebound and Repaired. The content is not affected by this. May have Cosmetic Minor wear & tear. Regardless of the title, CD/DVD/Access Codes or Supplemental Materials are not guaranteed. This book is not a rental. 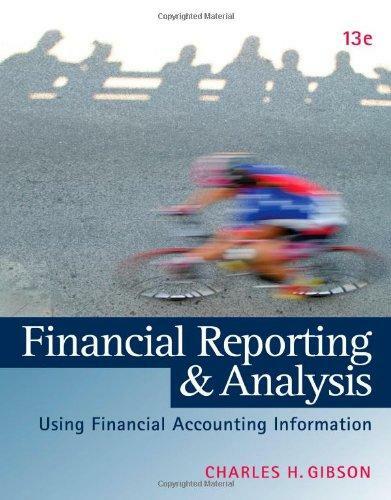 Charles H. Gibson is the author of 'Financial Reporting and Analysis: Using Financial Accounting Information (with Thomson ONE Printed Access Card)', published 2012 under ISBN 9781133188797 and ISBN 1133188796. Loading marketplace prices 129 copies from $16.18 How does the rental process work?